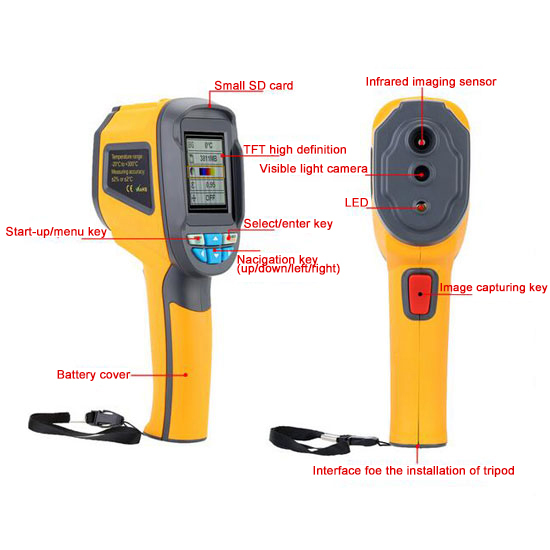 Handheld Thermal Imaging Camera or Infrared camera is easy to operate, temperature measurement up to 300°C (572°F), infrared resolution 60x60 or 220x160 at favorable price, with the function of adjustable emissivity coefficient, selectable color palette etc. to increase its accuracy and usability. 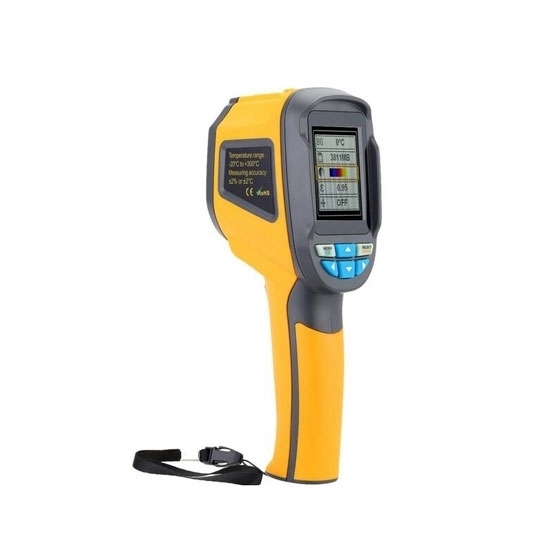 Handheld Thermal Imaging Camera or IR camera with resolution 60x60 or 220x160 at low cost is easy to use and can be used to conduct a test after several seconds, an ideal option for electrician and maintennance technicians to find the problem quickly. 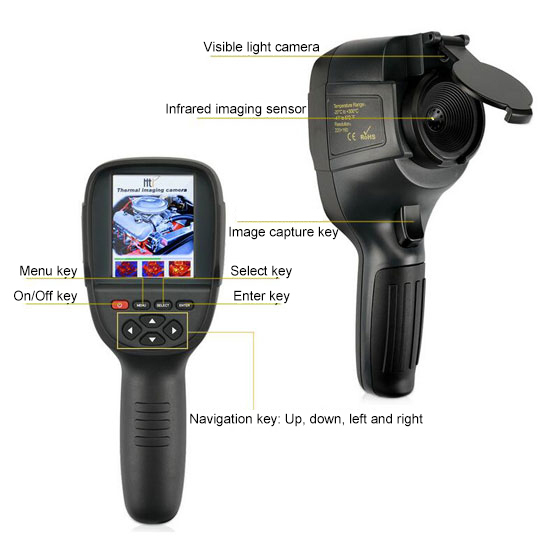 Thermal imaging camera is to use an infrared detector and an optical imaging objective lens to receive and reflect the infrared radiation energy distribution of the target to the photosensitive element of the infrared detector, so as to obtain an infrared thermal image. The image is corresponding to the thermal distribution on the surface of the target object. Briefly speaking, thermal imaging camera is to convert the invisible infrared energy emitted by an object into a visible thermal image. The different colors on the thermal image represent the different temperatures of the measured object.